MilkySnugz are fun, cuddly baby comforters that make feeding time easier for mother and baby. 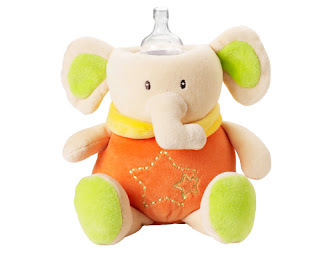 Available as six adorable characters, MilkySnugz provide comfort to your baby during feeding time, and serve as a friend to snuggle up with in bed. Young babies spend a lot of time feeding from bottles, and often need feeding during the night. With a MilkySnugz friend, your baby will sleep easier and feed more easily, allowing the pair of you to enjoy a better night's sleep. MilkySnugz can aid your baby's transition from breast-feeding to bottle-feeding, and strengthen the maternal bond. Developed to make feeding time more fun, MilkySnugz will comfort your baby and help it to develop fine motor skills. This will aid your baby's mobility as it learns to grasp and move its hands. To keep your baby as comfy and snuggly as possible, MilkySnugz are made from only the highest quality cotton & polyester. MilkySnugz also feature a zip fastener for easy access to the bottle, a MilkySnugz hook for attachment, and bright, easily-recognisable colours. Wash your MilkySnugz easily in a simple 30 degree wash, and they'll emerge looking as good as new. MilkySnugz have recently launched a new YouTube channel, so why not head over and look at the exciting things that are happening!? You can also visit Milkysnugz Facebook and Twitter for their latest news! 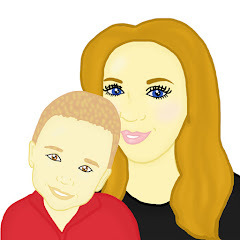 MilkySnugz is giving Mummy To The Max readers a chance to win one of their fabulous Elliot the Elephant Milkysnugz, so what are you waiting for?